If somewhere there goes about a gathering of designers, business analysts, marketers to discuss the latest UX trends, be assure that NIX Solutions experts certainly will join the party. 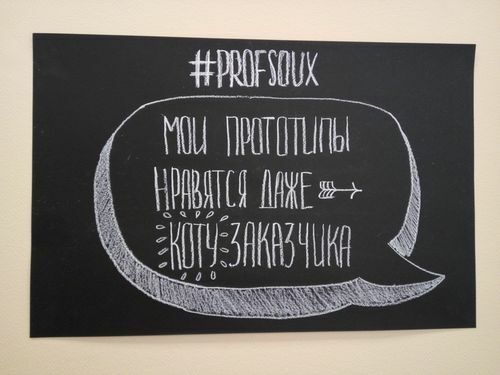 In April, we were fortunate to attend the two-day conference ProfsoUX and briefly dive into the atmosphere of the wonderful St. Petersburg city. 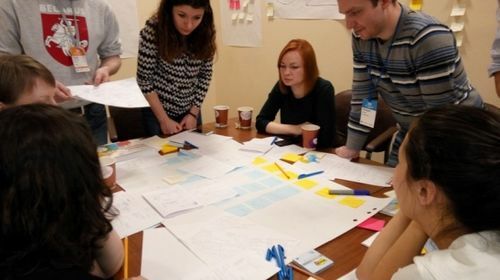 This is the fifth meeting, which gathers designers, business analysts, and experts of related profession to share the experience of designing the comfortable, modern, and beautiful interfaces. Starting from the flight, everything was easy and fun. 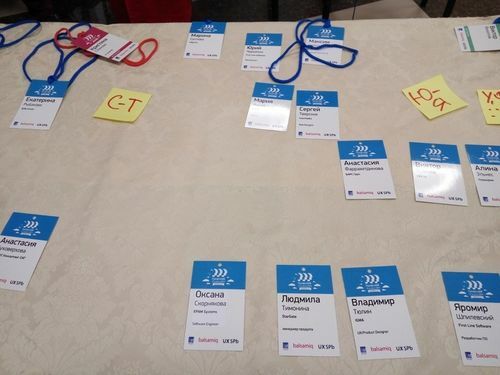 The organization of the conference was excellent. 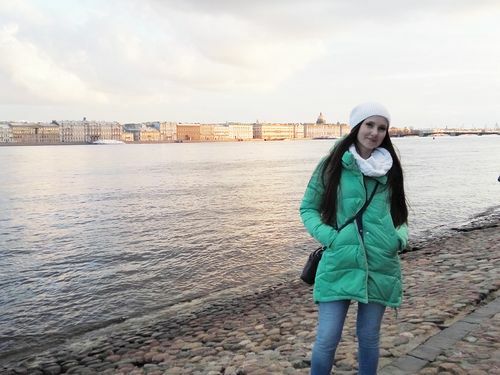 St. Petersburg pleased us with the sun (rare for this part of the continent), warmth, and friendly people. 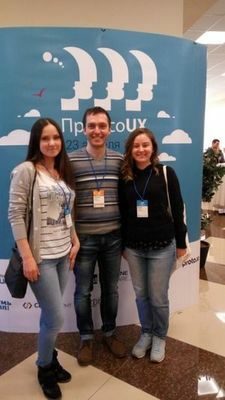 Probably, we were the only participants representing a Ukrainian company, because people we met were either from Russia or Belarus. 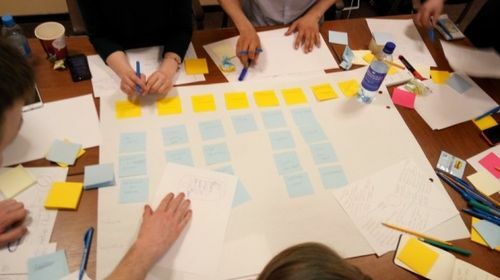 We were able to learn how UX-designers and analysts operate, what duties they carry out, how they optimize their work, and where they take inspiration from. 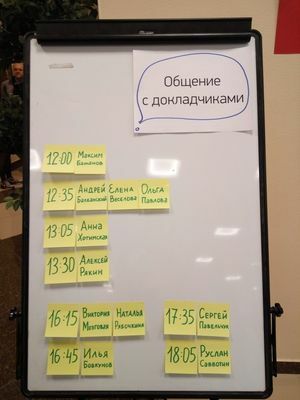 Timetable was arranged so that participants and speakers could relax and socialize after each presentation, move into any room, have tea with snacks. In the lobby it was always possible to intercept an interesting speaker and ask tons of questions; friendliness and empathy at the conference was just through the roof. The main task and interest for us was to listen to as many reports as possible, to gather the information. The user experience topic has been imposed as a standalone and important part of product creation just recently. After checking the program we split up for greater efficiency. 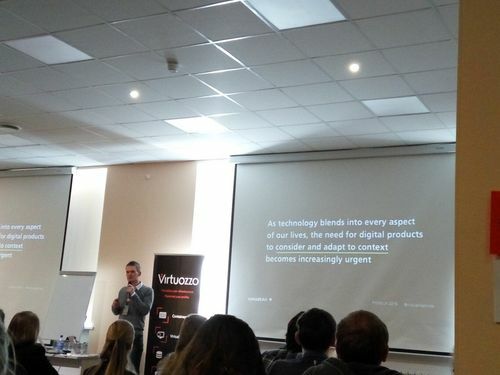 One of the best presentations was a Nick van der Linde report, The Mirabeau digital agency, Netherlands—”Context is King – Crafting Smarter, Adaptive Digital Products Today”. 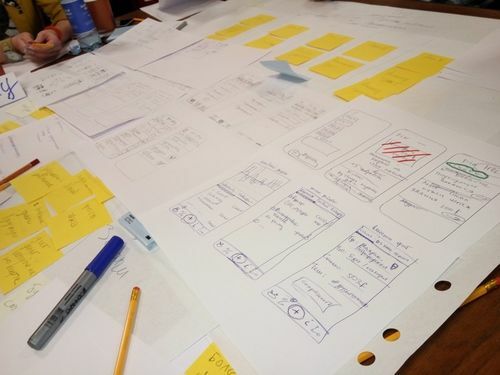 He tried to convey the idea that the environment where the application is used, sometimes is more important than the application design or processability. He gave an interesting example of an application that passenger airlines stewards do need. For this type of user the important information is departure time, delays, and the transfer points. So, the flight attendants will use it mostly in the airport coffee shops between flights; as a result we have the tablet / smartphone device and slow Internet. From these nuances evolves what will be the interface—simple, quick to load, with large typography, without much animation. In such cases we neglect a guideline: ingenious idea with a fashionable interface solution. Another interesting is case about the usage of context. 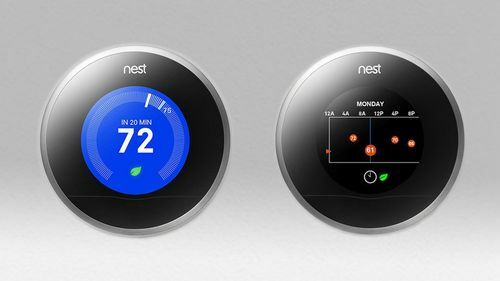 Nest thermostat manufacturers determine your relative location via webcam. If you are far away, it will show a larger general information, if you are close it is more finely detailed. Nick also advises that the product should use simple elements: images, text, check boxes. Spectacular animation, parallax, and similar approaches should be used for items that do not affect the main purposes of functionality. 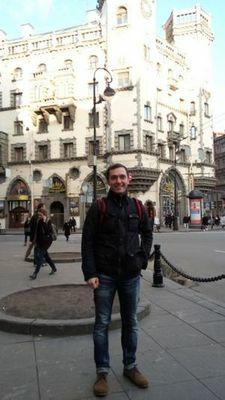 The second report we’d like to mention is “Programming Approach in Design” by Sergey Pavelchuk: quite an interesting comparison of designer and programmer roles in terms of product structuring and architecture. Just as developers don’t love the poor-quality code, so designers must refer to unsigned layers and random positioning in prototype. Names—Meaningful title, should be the essence of the content that it represents. Version Control—Always save your work and make a backup. 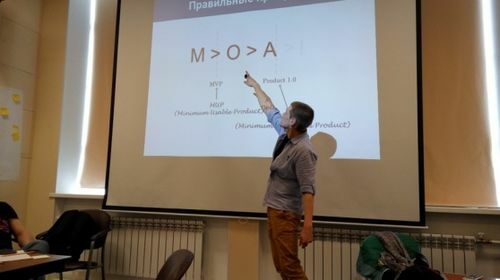 OOP—By the principles of object-oriented programming, it is more preferred to use the dynamic panels; then the prototype looks like a real product. A good programmer and a good designer should do their work thoughtfully and be a perfectionist. Indeed, this is for other people also, and not solely for you. The first day of the conference was filled with excellent presentations, making new acquaintances, case studies, and companionship. 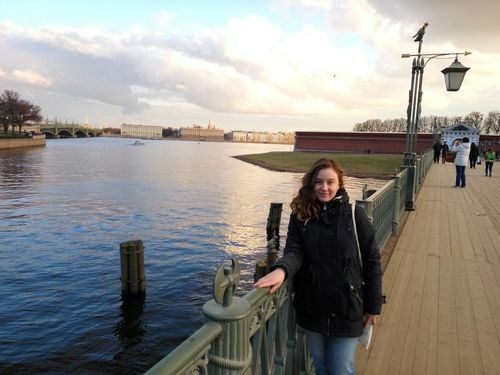 After the event we went sightseeing, to see what the St. Petersburg citizens are so proud of. We didn’t have much time, but still managed to see the extraordinary bridges and canals, wonderful architecture, lovely streets, and courtyards of this famous city. The second day started with a workshop on “Value: Looking, Form, Confirm.” Our coaches helped us to understand the different ways of structured brainstorming for cases, for where there is no possibility to conduct with research. This information spread all the application requirements on the shelves immediately. Coaches drew attention to a very important factor—the right questions. In order to get the correct data, you need a responsible approach to the questions that you’re asking the user. You also need to have a big picture of interaction. A map, which shows every possible actions of the user. Our financial assistant was able to keep a record of Income/Expense, and also offered daily lessons to improve our knowledge in the field of finance. We even had time to draw a logo; only thing left—to program our ideas and to publish. But this is not what our story is about. These two days gave us a lot of emotions, knowledge, and acquaintances. We have seen how other specialists work and study, as well as shared our experience with colleagues. And of course, we saw a wonderful, bright, and beautiful city that fascinates with its history.